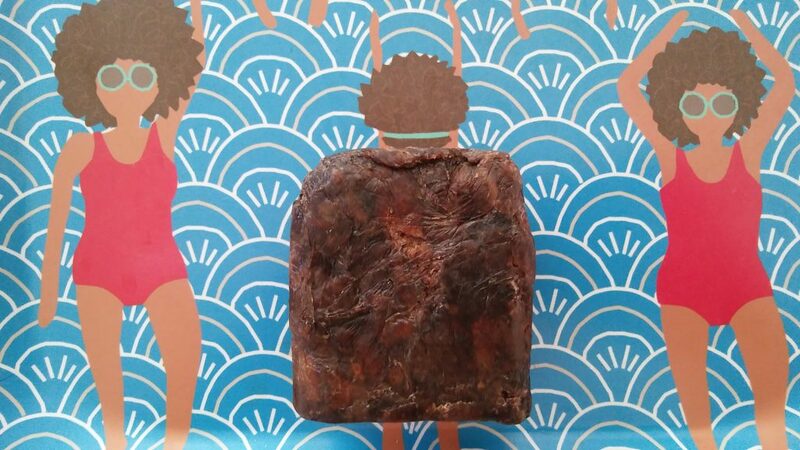 This is our Ode to African Black Soap. Well, this won’t be an ode per se (we are many things, just not poets! ), but we would like to turn the – much-deserved – spotlight onto one of Africa’s ancient beauty secrets. African Black Soap originates from West Africa, particularly Ghana and Nigeria, where it has been used for centuries to bathe with and reduce body odour. Women traditionally used it in their skincare routine before and after pregnancy as a moisturiser and to keep from getting stretch marks, and even bathed their babies with it because of its mild and gentle nature. As well as on the skin, it has been and is still used as for the hair, as a shampoo and to relieve itchiness and dryness of the scalp. Furthermore, this versatile and multipurpose super-soap has been used to alleviate certain skin conditions such as eczema and acne, and treat oily skin. Today, it is often made by women and fairly traded. The women use secret family and community recipes that have been handed down for generations. So, it really is a secret! And how is it made? Traditionally, it was made from the ashes of locally harvested African plants such as plantain skins, cacao pods and shea tree bark, then mixed with water and fats such as palm oil, coconut oils and shea butter. It is still made very much like this today. African Black soap is a fantastic all-round cleanser. The lauric acid from the oils creates a lovely lather and is antimicrobial. Because of its raw nature, made out of large vegetable matter/particles, it works naturally as an exfoliator. The ash and oils have a detoxifying effect, drawing out impurities from the skin, without drying it out. Our Earthtribe African Black Soap is rich in anti-ageing nutrients like vitamins A and E and absorbs toxins and odours, giving the skin a deep cleanse. Containing shea butter, it’s ideal for moisturising and repairing dry skin. Oh, let us count the ways! African Black Soap can be used as a mild and effective face cleanser, body cleanser, shampoo (yes, that’s right), in powder form it can be used to make your own hand soap and in face masks, it’s great to shave your legs with, to alleviate skin conditions, to prevent stretch marks, as a gentle exfoliant, and helps improve the overall tone and texture of all skin types. Where used as a shampoo, it’s great to follow with a natural conditioner – Baobab oil works well!